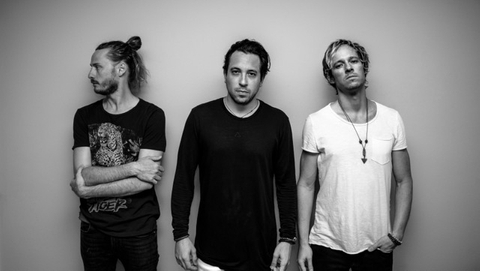 Austin-based rock band, ​Saints of Valory​ challenges local students to a dirty fight for a good cause! 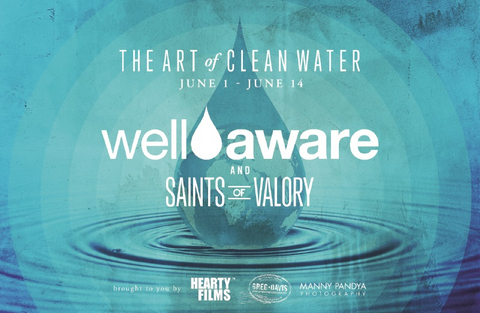 Something extra special is happening this year- as people all over the world are signing up for the 10th Anniversary of Well Aware’s ‘Shower Strike’ ​and ​Austin-based rock band, Saints of Valory, wants to be sure they do their part to raise money for the cause. 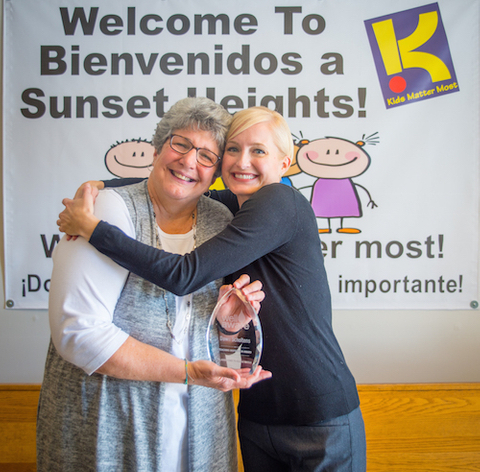 Well Aware, an international award-winning nonprofit that provides innovative and sustainable solutions to water scarcity and contamination in Africa, honored retired second grade teacher Dawn Scholtens of Sunset Heights Elementary with a “Teaching Inspiration” Award. ​Well​ ​Aware​ ​awards,​ ​‘It’s​ ​Always​ ​Sunny​ ​in​ ​Philadelphia’,​ ​star​ ​Mary​ ​Elizabeth​ ​Ellis and​ ​National​ ​Geographic​ ​Creative​ ​Photographer​ ​and​ ​Filmmaker,​ ​Greg​ ​Davis,​ ​Global Impact​ ​Awards. FOR​ ​IMMEDIATE​ ​RELEASE:​ ​Austin,​ ​TX. Title:​ ​Well​ ​Aware​ ​awards,​ ​‘It’s​ ​Always​ ​Sunny​ ​in​ ​Philadelphia’,​ ​star​ ​Mary​ ​Elizabeth​ ​Ellis and​ ​National​ ​Geographic​ ​Creative​ ​Photographer​ ​and​ ​Filmmaker,​ ​Greg​ ​Davis,​ ​Global Impact​ ​Awards. Well Aware, an Austin-based nonprofit that provides innovative and sustainable solutions to water scarcity and contamination in Africa, officially opens registrations for its annual fundraiser “Shower Strike” today. Shower Strike is a online donation-based fundraising campaign that will take place during the week of April 22. Volunteers across the globe unite and promise not to shower until they have met their fundraising goal for building water systems in Africa. This nationally-recognized fundraiser enables anyone who wants to help Well Aware’s cause make a big impact in a short time. International Nonprofits taking donation hit in final days of 2016 giving Local Africa nonprofit, Well Aware, urges community to donate despite national trend. AUSTIN,TEXAS, December 27, 2016 - Well Aware makes one final push for fundraising in 2016. 100 percent of all donations will go directly to the clean water initiative and will be matched by a generous donor through December 31. A donation as small as $10 will give one person a water for decades. AUSTIN, TEXAS, November 22, 2016 - Austin-based non-profit Well Aware is launching a pilot program providing digital mobile technology to water well kiosks, enabling greater community water access, a forecasted 30 percent water conservation, markedly better community fund management, and access to detailed back-end data on water well usage, functionality, maintenance needs and savings. The new technology combined mobile-to-mobile banking, cellular service and kiosk operation will be done in partnership with east Africa-based Davis and Shirtliff, an long-standing supplies partner of Well Aware. Since Well Aware began implementing projects in 2010, they have brought clean water to more than 140,000 people and are on track to nearly double that number in 2017 with the help of this new technology. 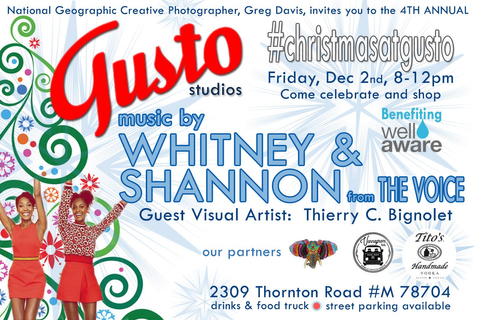 Gusto Studios Christmas Art Sale and Benefit Concert in South Austin by local Greg Davis - National Geographic Creative Photographer and music by this year's THE VOICE duet, Whitney & Shannon Dec 2nd 8pm-12pm. The Voice 2016 Blind Audition - Whitney & Shannon: "Landslide"
AUSTIN, TEXAS, November 1, 2016 - “Well Aware World” directed by Brad Feeser was chosen to premier in the Documentary Short film category at the Lone Star Film Festival. The short film was made in partnership with Well Aware, a 501(c)3 nonprofit organization headquartered in Austin, Texas that provides innovative and sustainable solutions to water scarcity and contamination in Africa. The Lone Star Film Festival (LSFF) in Sundance Square, an annual film event in North Texas will be held November 10 – 13, 2016. “Well Aware World” will be shown on November 10 to festival attendees for the first public screening of the film. AUSTIN, TEXAS – Sarah Evans, founder and executive director of water charity Well Aware, is expanding her reach in the global water crisis. Evans created this month Aurora Global, a for-profit, social-good entity that advises NGO operations on successfully building and maintaining water systems anywhere in the world. Local Nonprofit Travels to Kenya to implement and evaluate life-saving water projects to thousands; Austin artists to witness, record community transformation. 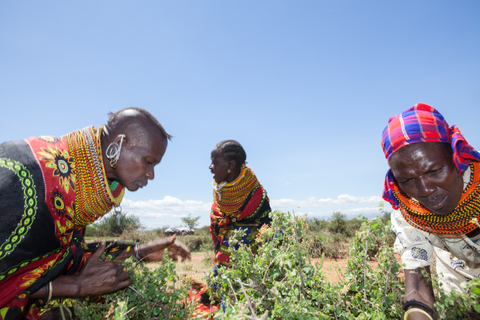 AUSTIN – Local nonprofit Well Aware will be traveling with a team of 21 to Kenya May 31-June 15 to oversee and implement and evaluate multiple water projects that will run through the hands of more than 27,500 people. These life-changing clean water projects will be expressed in music and captured in video and photography by some of Austin’s top artists. 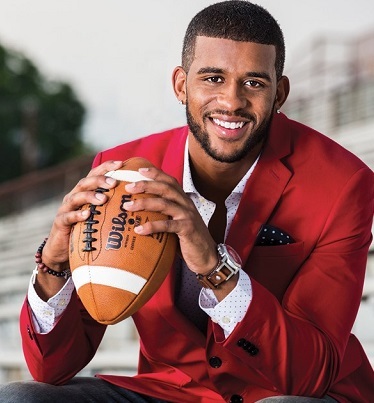 DALLAS – Dallas Cowboys wide receiver Devin Street is boycotting bathing to help raise funds for the nonprofit Well Aware that builds water systems for impoverished communities in Kenya. Street joins hundreds of people in Dallas and beyond that are raising thousands of dollars to help build water systems through Texas-based nonprofit Well Aware’s Shower Strike which begins Earth Day April 22 through midnight April 30. The global annual fundraiser recruits volunteers to stop showering for one week or until they each raise at least $1,000 toward life-saving clean water. Street joins schools, businesses and other local celebrities across the country that are making a stink for water. The Patt Christopher Project, another Dallas-area striker - has raised funds for five water systems impacting more than 20,000 lives in East Africa during the past five years. This Shower Strike will fund their sixth water system. AUSTIN, TEXAS – Top local athletes, artists, musicians and breweries are joining local schools and businesses and vowing to not take a bath until enough funds are raised to build water systems for impoverished communities in Kenya through the local nonprofit Well AwareWell Aware. The Shower Strike is Well Aware’s international fundraiser that recruits volunteers to get dirty, “stink it up” and not bathe for one week or until they each raise at least $1,000 toward life-saving clean water in Africa. The strike begins Earth Day, April 22, and runs through midnight April 30. Mary Elizabeth Ellis, star of Fox's "The Grinder" joins a global water strike and vows not to take a bath until enough funds are raised to build water systems for impoverished communities in Kenya through the nonprofit Well Aware. In addition to boycotting bathing, Ellis relates the horror of living without water by starring in film director Mo Perkins' cheeky adaptation of Alfred Hitchcock's iconic "Psycho" shower scene with a twist. This time the blonde is a victim of no water rather than a knife-wielding killer. 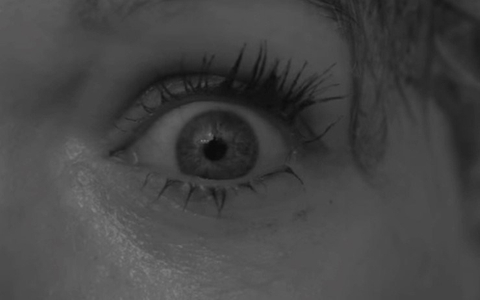 Mary Elizabeth Ellis shows the horror of living in a world without water in "Psycho" scene. Ellis and Perkins are joining Well Aware's Shower Strike, an international fundraiser that recruits volunteers to "stink it up" and not bathe for one week or until they raise at least $1,000 toward life-saving clean water in Africa. The campaign's overall goal is to raise $150,000, which will provide clean water to more than 15,000 people. 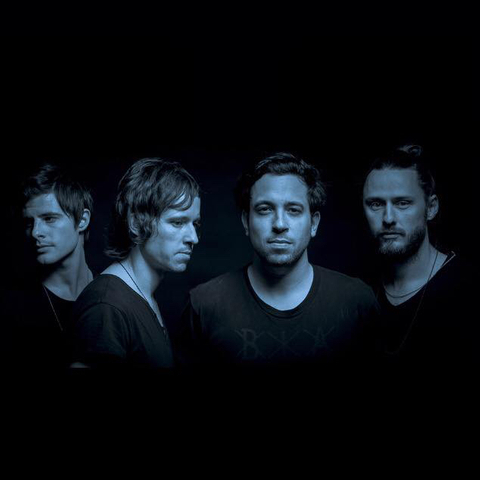 AUSTIN – Having recently returned from opening for the Rolling Stones, the Saints of Valory will be performing a one-night exclusive show Dec. 12 during a special holiday event to generate awareness for desperately needed water infrastructure in East Africa through local nonprofit Well Aware. 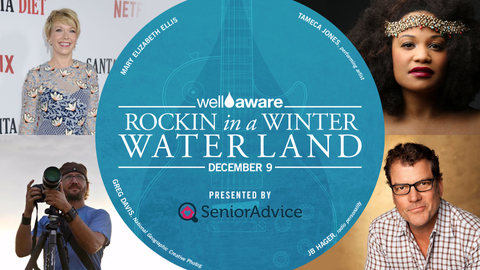 AUSTIN – Local Well Aware Executive Director Sarah Evans has become a social philanthropist and a world-sought subject matter expert in water infrastructure to meet the needs of thousands by providing clean water for life. The head of the local clean water team will be traveling Aug. 8-13 to Haiti with two of her technical team members - a hydrogeologist and an environmental engineer – to advise on water system issues to NGOs there. Evans is then speaking at Austin’s Social Media for Nonprofits conference at Austin Community College Aug. 18. Water from Evans’ last well poured through the hands of more than 4,000 people in Kenya last week. Evans and her team are also collaborating with local National Geographic Creative photographer Greg Davis, who documented the group’s last Kenya trip and will have a rare, one-night photographic exhibition Aug. 21. The event, to be held at VUKA Austin, will generate awareness for desperately needed water infrastructures. AUSTIN – A rare, one-night photographic exhibition from National Geographic Creative photographer Greg Davis and nonprofit Well Aware will be held in August to generate awareness for desperately needed water infrastructures in East Africa. Award-winning photographer Davis traveled with Well Aware to Kenya in May to document the organization’s work rebuilding communities there through sustainable clean water systems. He photographed Well Aware’s implementation of a community well in Laikipia that now provides life-saving clean water to more than 4,000 people. Fifteen special edition images from that trip will be curated and displayed during the one-night exhibition. The event, Journey of Clean Water for Life: Fine Art Photography by Greg Davis, National Geographic Creative, will be Aug. 21 from 7-10 p.m. at VUKA Austin. 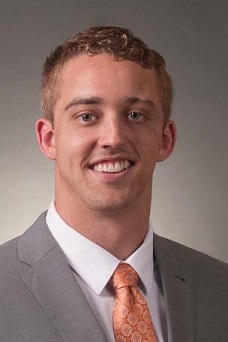 AUSTIN -Former University of Texas quarterback Case McCoy is “stinking it up” for a local charity. McCoy is boycotting bathing this week to help raise funds for the nonprofit Well Aware that builds water systems for impoverished communities in Kenya. McCoy joins more than 200 people in Austin and beyond who are raising thousands of dollars to help build water systems through Well Aware’s Shower Strike. The global annual fundraiser recruits volunteers to stop showering for one week or until they raise at least $1,000 toward life-saving clean water in Africa. AUSTIN-Well Aware, the Austin-based nonprofit that builds water systems for impoverished communities in Kenya, will launch its Shower Strike® April 18. The global annual fundraiser recruits volunteers to stop showering for one week or until they raise at least $1,000 toward life-saving clean water. Teams and individuals can sign up at www.ShowerStrike.org. People who want to support the campaign but not go on “Strike” can donate at any time at www.ShowerStrike.org. AUSTIN—Two local Africa-focused nonprofits, The African Leadership Bridge and CTC International, recently joined Well Aware as Shower Strike fundraising teams for the first time this year. Well Aware, the Austin-based nonprofit that builds water systems for impoverished communities in Africa, launched its infamous Shower Strike fundraiser on March 22. Although the similarly aligned organizations are all based in Austin and each provide aid to communities in Africa, they differ in the focus of their efforts and the types of services and support they offer. CTC International empowers communities in Kenya to create the change, leading to sustainable solutions for everyday life. The African Leadership Bridge provides scholarships to promising young African leaders. AUSTIN—Angela Rawnā, Austin-based actress and entrepreneur known for her role in television show Friday Night Lights and in the upcoming Richard Linklater film Boyhood, has been named a brand ambassador for Well Aware and will also participate in the organization’s annual Shower Strike fundraiser. Well Aware is an Austin-based nonprofit that builds water systems for impoverished communities in Africa. Well Aware’s Shower Strike is a global fundraiser that launches on United Nations World Water Day, March 22, and recruits volunteers to abstain from showering for one week or until they raise at least $1,000 toward life-saving clean water. As brand ambassador, Rawnā will represent the organization and serve as a spokesperson, to bring more attention and awareness to Well Aware and the need for clean water systems in Africa among new audiences. AUSTIN— Bob Shuler will compete in six iron distance triathlons on six continents in 2014 in an attempt to set a Guinness World Record and spark global interest in his cause: raising $10,000 for Well Aware, the Austin-based nonprofit that develops clean water systems in impoverished communities in rural Kenya. An iron distance triathlon consists of a 2.4-mile swim, 112-mile bike ride, and 26.2-mile run. According to Shuler, this challenge does not compare to those faced by women in east Africa, who collectively spend an estimated 200 million hours per day retrieving water. The 58-year-old completed his first race in Florida earlier this month, and will travel to Australia in March for his second race. Two weeks later, Shuler expects to be in South Africa, then Taiwan, then Spain, and finally Brazil. During the final running portion of each race, Shuler carries a jerry can with him to raise awareness and as a symbol of the millions of hours spent collecting water by people in parts of Africa. AUSTIN—A volunteer team and the organization’s executive director just returned from a trip to Kenya to evaluate prospective projects as part of Well Aware’s new R3 Initiative. R3 stands for Recycle, Restore, Revitalize and is a major new focus for the Austin-based organization that builds water systems for impoverished communities in Africa. The R3 Initiative will identify and prepare 10 broken water systems that are ideal candidates for rehabilitation, applying Well Aware’s sustainability model to see the community where the well is located through to prosperity. With cost-saving methods including recycling what is already there, the average cost of one of these systems will be reduced by 40 percent or more. AUSTIN—Well Aware, the Austin-based nonprofit that builds water systems for impoverished communities in Africa, has announced the return of its infamous Shower Strike— a global annual fundraiser that recruits volunteers to abstain from showering for one week or until they raise at least $1,000 toward life-saving clean water. The sixth annual Shower Strike will launch on United Nations World Water Day, March 22, 2014. Teams and individuals who want participate can sign up online at www.showerstrike.org. According to Sarah Evans, executive director of Well Aware, the Shower Strike is a ready-made way to give back that equates the first world of plentiful water for all things, to the life-and-death water situation in parts of Africa. AUSTIN—Well Aware, the Austin-based nonprofit that builds water systems for impoverished communities in Africa, has announced a new initiative to rehabilitate existing, non-operational wells. Dubbed R3: Recycle, Restore, and Revitalize, R3 will launch in 2014. 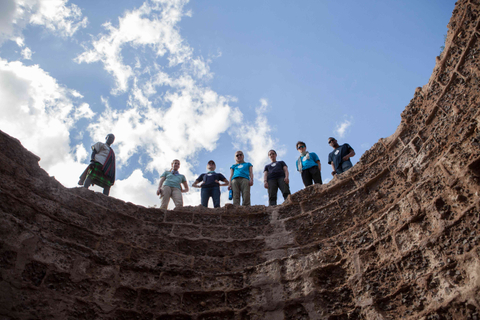 “Approximately 60 percent of the existing wells in Africa don't work because of poor project planning, shortage of technical attention, environmental mistakes, and lack of community involvement,” says Sarah Evans, founder and executive director of Well Aware. “When funds don’t end up helping a community, it’s not just a well that’s broken. The community becomes devastated by the loss, and the millions of dollars in wasted resources. A broken water well introduces an economic and health disaster for a previously flourishing people, and tears communities apart,” Evans says. AUSTIN—Local charity Well Aware, which develops clean water systems in impoverished communities in rural Africa, is now reserving spots for its 2014 “voluntourism” trip to Kenya— a rare opportunity to go on a combination volunteer/tourism trip to Africa for two weeks. 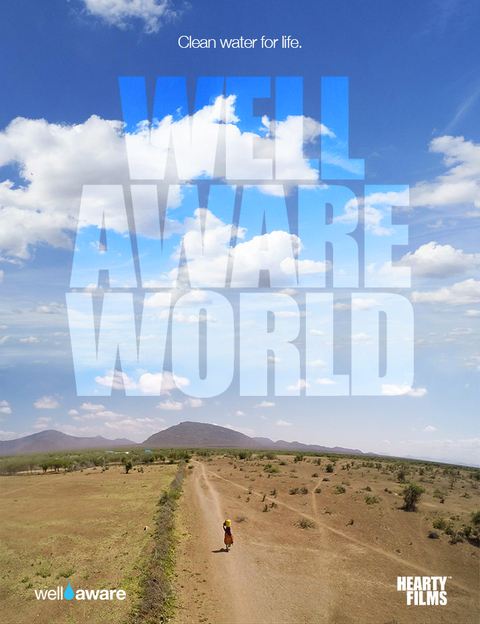 Well Aware’s trip to Kenya, Aug. 3-16 2014, is open to the public. The nonprofit is currently taking reservations for the trip, which has been planned with the help of travel agency JB Journeys. Participants in the voluntourism trip will travel for a cause as they experience the impact of Well Aware’s sustainable clean water projects, volunteer with local communities, and encounter African wildlife and culture up close and personal. AUSTIN—Local charity Well Aware, which develops clean water systems in impoverished communities in rural Kenya, raised $15,000 in two weeks thanks in large part to generous donors who offered a 3-1 match for dollars raised through an email and social media campaign in August. With $15,000 Well Aware can provide clean water to 750 people. Sammi Casis and Lorraine Thirion offered the match to encourage new donors. “The two objective reasons behind our support for Well Aware are the efficiency of their operation the sustainability of their projects. They have a very high percentage of funds raised spent directly on field activities. And, they insist that every aspect of their support for communities— such as equipment maintenance, training, consumables—be covered for 10 years. Well Aware will not leave a trail of non-operational wells behind them,” Casis says. Founder and executive director Sarah Evans says that the impact of donations is one of Well Aware’s most important differentiators from other water charities. KENYA – Austin-based nonprofit Well Aware struck water in Kenya twice this month, starting a flow that will save hundreds of lives in East Africa. Volunteers raised money for the projects by going on Shower Strike until friends and family donated the $80,000 needed to complete the wells. “It’s amazing to see our incredible supporters Shower Strike in April, then just four months later to watch hundreds of people celebrating the plentiful clean water being pumped from their new water wells,” said Sarah Evans, Well Aware’s founder. AUSTIN– Well Aware has organized a unique effort to help provide clean water to East Africa, which is suffering from a drought that the United Nations has recently called the worst humanitarian disaster on Earth. The nonprofit has organized more than 100 volunteers who have pledged to not shower until they have each raised at least $1,000 towards clean water projects in Kenya, Africa. The largely-online fundraising effort, dubbed Shower Strike 2011, (see showerstrike.com) has raised more than $30,000 in small donations in just 48 hours. Well Aware says 100 percent of all donations will go directly to pre-identified clean water projects, including deep water wells, pipeline projects, and rainwater collection systems in the most arid parts of Kenya. Working alongside certified hydrogeologists to identify the most promising geographic areas, Well Aware has already constructed several wells and contributed to pipeline projects that have saved thousands of lives in Kenya. All donations are 100 percent tax deductible.